session before their wedding day. Any of our Jamie & Tom brides knows that with any of the Wedding Collections we offer, we include a complimentary engagement session. As a business owner, let me just tell y’all that we would NOT do that if we didn’t believe wholeheartedly in engagement sessions and believe that each of our couples should not have to DECIDE to add one to their Collections! In fact, that’s truly how we approach our Wedding Collections in general: from the amount of hours each Collection includes to the amount of images included in each Collection, to the fact that each Wedding Collection includes BOTH of us as photographers, no matter what, our Wedding Collections are each designed to give our couples the single best experience possible. They deserve nothing less than the best and our heart is to serve them to the absolute best of our abilities in this sweet season of life! Thus, we simply could not craft those carefully-created Wedding Collections without including what’s become, hands down, one of my FAVORITE elements, and that is the complimentary engagement session! Over the years we’ve been wedding photographers, I can’t tell you how many times a sweet bride has asked us if they can switch out their engagement session for an extra hour of coverage or another á la carte item. Every time, we very gently tell our brides “no” to this request, for a few main reasons. 1. The engagement session allows us to meaningfully connect with our couple BEFORE the wedding day arrives. We don’t ever want the first time we photograph our couples to be on the wedding day… there is already totally enough crazy and newness surrounding that day, and the least we can do is prepare them for OUR role in that day by doing an engagement shoot. This way, on the wedding day, our couple is confident in the poses and coaching we do to create their photos, and they know how we work together. It’s seriously such a comfort to already know what you’re doing as a couple then the wedding day arrives! 2. We get to hang out with our couples for at least an hour of uninterrupted time! This is SO huge for us. We truly become real friends with each of our couples, and without the engagement session, that just wouldn’t be possible! Sometimes, we even get to grab dinner or coffee with our couples before or after their engagement session, and this time to truly invest in them, get to know them on a deeper level, and hear their story allows us to provide an even more incredible experience for them. 3. Engagement photos give our couples unique, meaningful and special photos to display in home and at their wedding of a special season of their lives. Yes, yes, YES. 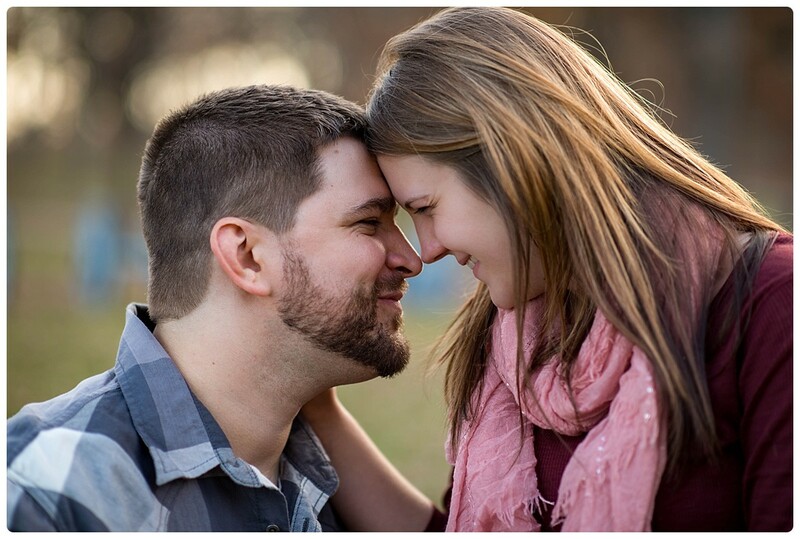 This is why we do engagement sessions, y’all. This stuff matters, and this stuff becomes the legacy we and our couples will leave behind us! Were you on the fence about doing an engagement session? Were you happy that you did an engagement shoot once you decided to go for it? We’d love to hear about it in the comments below!